More Hope for Final Fantasy Versus XIII. I Guess? Back in 2006, Square Enix unveiled three games: Final Fantasy XIII, Final Fantasy Agito XIII and Final Fantasy Versus XIII. All three were linked by a mythos centered on crystals, and the series was dubbed "Fabula Nova Crystallis". And somewhere along the way to 2013, Final Fantasy Agito XIII was renamed Final Fantasy Type-0, while Final Fantasy XIII launched two sequels, Final Fantasy XIII-2 and Lightning Returns: Final Fantasy XIII. When asked about the end of this universe, longtime Final Fantasy producer Yoshinori Kitase told game site IGN, "When you say this universe, if you're talking about the universe that we have been seeing in XIII, XIII-2 and this game, that includes Cocoon, Gran Pulse and the islands in this installment; that is definitely coming to an end. But if you're on about Fabula Nova Crystallis and the mythology that these stories are based on, that may continue." 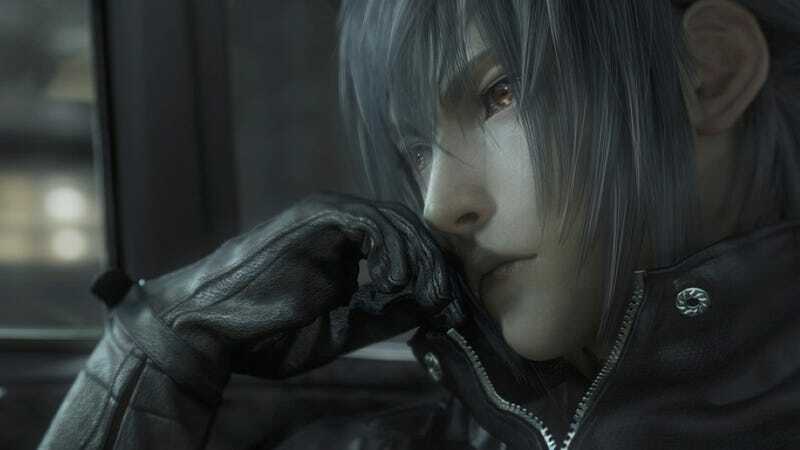 The "that may continue" line is causing some in Japan to speculate on the future of the long overdue Final Fantasy Versus XIII. Does this mean...? Could it mean...? Stuff like that. Kitase did say that games based on the mythology "may continue". And maybe they will! Last summer, Square Enix boss Yoichi Wada said developers were "diligently making Final Fantasy Versus XIII," but added, "When it gets to the stage that it makes one think, 'This is Final Fantasy,' we'd like to show it to everyone." However, at a recent event, Square Enix wouldn't even tell Kotaku anything about Versus. Okay. Fine. But if Square Enix does release Versus, it would be somewhat surprising for the game to keep the Final Fantasy XIII moniker, no? Especially with universe of XIII, XIII-2, and Lightning Returns coming to an end. With rumors swirling about Sony's inevitable PlayStation 4 reveal, Square Enix better get Versus out in a fairly timely fashion if it wants to make this generation. Or, with the way things have been going, next generation.